Standard Duty Stainless Steel intermediate Cable Strap, for cable bundles. 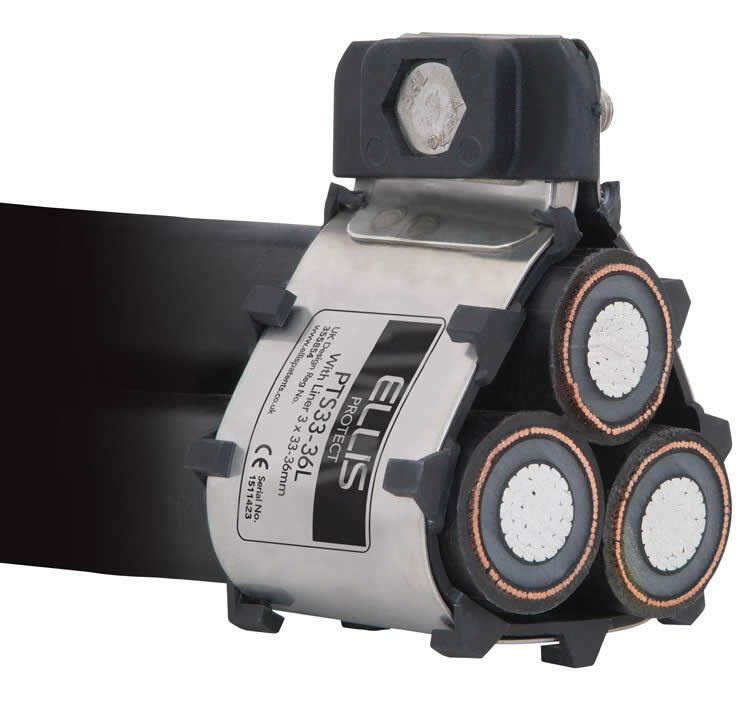 The Ellis Protect intermediate strap has been designed, developed, tested and manufactured in accordance with IEC 61914 (Cable cleats for electrical installations). The strap is available in a range of sizes with range taking ability to suit cables in trefoil formation. The frame of the cleat is manufactured from corrosion resistant grade 316L stainless steel, the cable is supported by a liner manufactured from a low smoke and fume (LSF) polymeric material. The closure fixing is manufactured from grade A4-70 stainless steel. ProTect Cleats are manufactured to specific cable diameters. Dimensional data is available on request from Ellis Patents.